Dropbox allows you free cloud storage (2GB to start) for private backup of files or for sharing files with others. 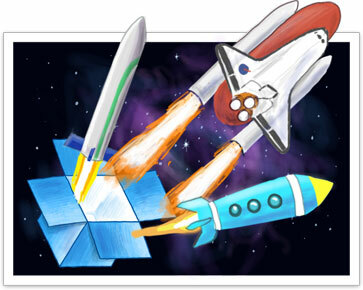 Dropbox has started a program called the "Great Space Race". If you have a .edu email address, you can verify your email here and get extra storage. The more people that verify their emails from your institution, the more storage you will get so tell others about it as well. Even if no one has signed up from your school, you will still get an extra 3 GB for two years for free. I currently get an extra 8GB of storage for 2 years from the University at Buffalo.